I will say, in our competitive, demanding and comparison-driven society where it’s all about what you do, who you’re doing it with, and how many ‘likes’ you’re getting, it’s not always easy focus on self-care without feeling like you’re missing out on something or not being as productive as you could be. The trick is to shift your mindset–stop thinking about activities that are non-work or non-social related as ‘unproductive’ or ‘boring,’ and start thinking about them as equally as valuable as your other priorities are. Stop feeling like you’re missing out on something by spending time with yourself, and start thinking about your time with yourself as enjoyable time spent working toward your achieving your personal and professional goals. 1| Spend time with Jesus. This is always going to be first and foremost for me, because it’s my time with Him that gives me clarity, stillness, and peace. Make room in your day to listen to His voice, to read His word, and to develop your relationship with Him. He truly is the best listener, confidante, and source of strength and wisdom! Taking care of home is an essential element of taking care of yourself. If there’s clutter and chaos in your home, chances are that it will find its way into your mind and spirit. Sundays are the perfect day to declutter, clean and organize. Maybe you don’t have time to tackle everything, depending on how large your living space is, but try to at least cover the basics — wash and fold your laundry, change your sheets, empty & load your dishwasher, vacuum and/or sweep, etc. 3| Go for a walk or run outside. It’s true what they say–some fresh air will do you good. Science shows that spending time outside actually improves your brain function, including spurring your creativity and increasing your concentration. Try spending 30 minutes to an hour outside, soaking in your environment and letting your thoughts run wild. 4| Get your thoughts out of your head and onto paper. The average person has between 50,000 to 70,000 thoughts per day, and so many of them will either remains thoughts and never turn into actions, or disappear into oblivion, never to be remembered again. Studies show that writing things down increases your likelihood of remembering them, and gives your thoughts clarity and focus. 5| Take a bubble bath. For the sake of efficiency during the week, you probably tend to take showers over baths. During your soul-feeding time, it’s okay to slow down. Run yourself a bubble bath. 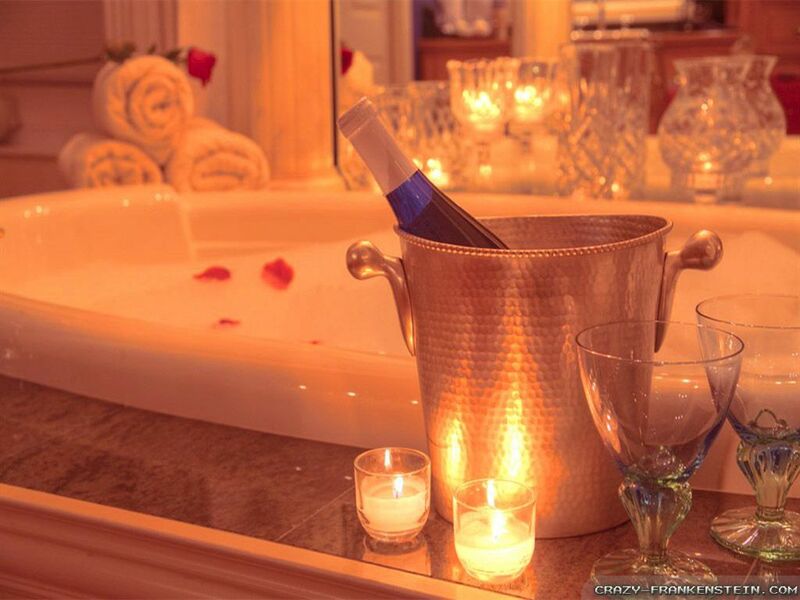 Light some candles, turn on some R&B, grab a few of your favorite, self-indulgent magazines and just soak. Try adding a bath bomb into the mix to enhance your bath with essential oils and natural fragrances that trigger relaxation. 6| Cook (or order) your favorite meal. Treat yourself with your favorite food or dessert one day out of the week. If you enjoy cooking, look up the recipe of your favorite dish and try your hand at it. If you don’t enjoy cooking, look up the phone number to the restaurant that carries your favorite dish, and order it :). 7| Start reading a new book. The average American adult only reads 5 books a year. When I think back to high school, I think we read 5 books per semester! Instead of indulging yourself in Netflix, make a visit to your local library or book store instead. Then, identify someone who can either help hold you accountable for finishing your book, or, someone who can read and discuss the book with you. The benefits of reading in your spare time are endless–mental stimulation, stress reduction, and vocabulary expansion are just a few. 8| Talk to someone you love on the phone. We are so inundated with social media and text messaging on a daily basis, that it’s starting to feel awkward or out of the ordinary to engage in lengthy phone conversations. If you’re like me and you have friends and family scattered across the country, don’t underestimate how rejuvenating it feels to talk to someone on the phone without an agenda. You’re not asking for anything or relaying bad news–you’re just enjoying the [lost] art of communication. 9| Spend some time thinking about your short and long-term goals, and make a plan to progress toward them. It’s an excellent weekly practice to think critically and intentionally about where you are and where you’re going. What personal goals do you have for yourself over the course of the next week? The next month? The next year? What professional goals do you have for yourself in those same spans of time? Do you want to get in shape? Do you want to get promoted? Do you want to be less gossipy? Do you want to watch less TV? Do you want to get a raise? Achieving these things can’t and won’t happen passively–you have to get specific and you have to be dedicated. Luckily, there are plenty of resources, templates, and blogs out there to help with the goal setting process! During your soul feeding time, check on your progress toward your goals–what are the things you said you were going to do, but never got to? What got in the way of them? What might you need to rearrange in order to be more effective and intentional? 10| Surround yourself with people who inspire you. Just because you’re focusing on yourself doesn’t mean you can’t enjoy the day with other people. However, be purposeful in deciding who you’re spending your time with, and what is influencing your energy. Be around people who make you want to be a better version of yourself, and who have characteristics that you aspire to yourself. Be around people who demonstrate self-awareness and carve out time for self-care in their own lives, and who will encourage you to do the same. /// How do you feed your soul on a weekly basis? I would love to hear your ideas, tips and tricks in the comments below!